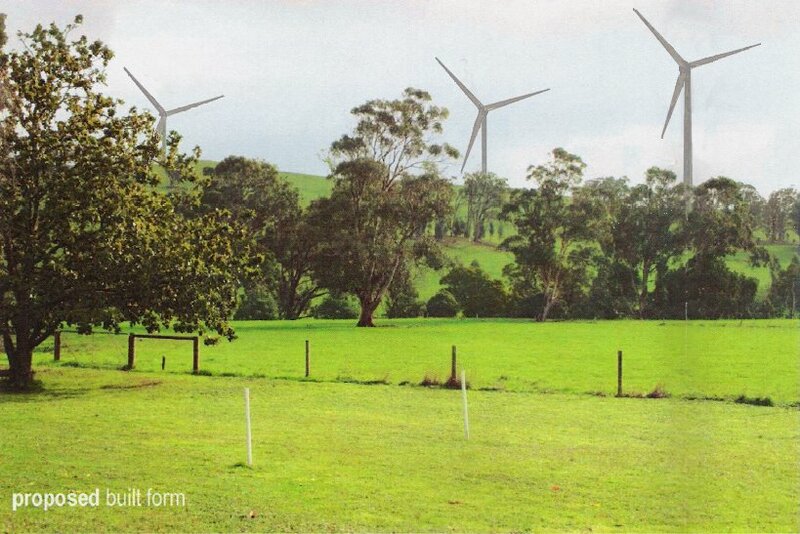 WINDFARM PROPOSAL - DEVON NORTH, YARRAM AND DISTRICT, South Gippsland, Victoria. I am delighted to announce that after six years of lies, frustrations and uncertainties, the proposed seven-turbine windfarm at Devon North near Yarram will not be built. Just a few of the thirty or so members of the Concerned Residents of Devon North windfarm opposition group, having a quiet celebration to end six years of frustration, uncertainty, lies and sheer ignorance from the wind energy company proposing seven turbines on the hill you see in the distance. This is not a celebration of a 'win', but a quiet get-togther to endorse the friendship that has developed over the years between them, and others who had yet to turn up for a bar-b-que. Far from dividing our community, we have developed a tremendous bonding of friendship and and co-operation which may not have happened otherwise. Champagne was indeed the order of the day.We can now return to our homes and trust that we can live with the quiet ambiance that we expected six years ago. Three more houses will now be built in the region, their development curtailed because of the proposed windfarm; some small farm holdings and residences will now have extensions built and works done on the properties. We can move ahead. Last night (21 February 2012) the Wellington Shire Council voted unanimously 9-0 not to grant a permit application extension to Synergy Wind. It did so on the grounds that Synergy Wind have had four years to get their act together, and that there is no longer a contractual agreement between the landholder and Synergy Wind. The 'off the record' comment from the shire to Synergy Wind is simply, 'please, go away'. You may recall that the proposed windfarm was first put forward in 2006 when a neighbouring landowner was advised by the proposed windfarm property owners Mr and Mrs Graeme Helleren, that a nine turbine windfarm had been contracted with Christian Spitzner of Synergy Wind. In 2007 the Wellington Shire Council refused a permit application made by Synergy Wind with an overwhelming 6-1-1 (abstain) - 1 (absent) vote, fundamentally on the grounds that whereas the council embraces the need for clean energy, the location for the proposed windfarm at Devon North was totally inappropriate as it was within a rural-residential area that houses some thirty residences within a three-kilometre radius. Synergy Wind took the matter to VCAT and under the previous Labor Government, VCAT over-ruled the Wellington Shire Council decision. VCAT granted a term of four-years to begin construction, and another two-years to complete, but laid down no less than sixteen points to which Synergy Wind must comply, including further sound reports, and discussions with some neighbouring landholders in ways to mitigate flicker and visual amenity concerns. Synergy Wind did not contact any neighbouring residents during this period, nor did they, apparently, make any attempt to comply with the sixteen points insisted by VCAT. The four years ended on 23 December 2011. In separate legislation the current Liberal/National coalition gave all windfarm operators to 15 March 2012 to finalise their applications. Synergy Wind applied to Wellington Council for such an extension. In the meantime, in early 2011, legal action had been taken between Mrs Helleren (Mr Helleren had passed away), and Synergy Wind. The basis for this is not officially known but it is understood to have been related to the windfarm contract between Helleren and Spitzner. The outcome was settled out of court and it is understood that Spitzner made an offer to buy the Helleren land. This appears to have fallen through and on 11 December 2011, there was no longer any valid contract between Helleren and Spitzner. Mrs Helleren then put part of the proposed windfarm land up for sale. On 9 February Wellington Shire Council considered the extension application by Synergy Wind but deferred a decision as there were several unknown or confusion factors. I understand that a councillor established details on the lapsed contract between Spitzner and Helleren, and that Mrs Helleren had part of the land up for sale. There no longer being a basis for an application, council voted not to grant an extension. Although new contracts with new owners, and indeed new windfarm entrepreneurs, could be established in the future, any new contract would require compliance with government regulations. With the 2-km rule in force, a windfarm would not be permitted on the proposed land. It would also appear that the land is not suitable for a windfarm in any case, and has never been suitable considering the limited number of turbines that it could house, its wind-avilability and strength, it being on a geological fault line, and access. I understand that Mrs Helleren is not in the slightest bit interested in renewing any contract with Synergy Wind. Members of the Concerned Residents of Devon North group are of course relieved and delighted at the outcome. But there are no winners in this whole rather sordid affair. We have suffered anxiety and indeed humiliation in that Christian Spitzner has never spoken to any of the group. I saw the man once at VCAT but he has never spoken to us. Spitzner of course would not be happy with the outcome but with the present economic climate I gather he could not raise the funds anyway - certainly not from Germany, the home of the parent company Turnus Energy. Mrs Helleren is not a winner as she too has suffered anxiety and frustration, albiet for other reasons. The winners perhaps are the broader community. We can have some faith that persistence in seeking what we believe is fair and right does pay off. We can also have faith in a council that considered the issues as it related to the people and not to some government ideological doctrine that did not take into account the direct effect on individuals. Whereas I am sure the Devon North windfarm would not have proceeded due to lack of funding and its geographic unsuitability, the Wellington Shire councillors have finally put the matter to rest. The community, its representative governments, and wind energy entrepreneurs need to learn from the Devon North experience. The problem at Devon North arose not so much from the need for clean energy (which we need, but the efficiency and financial viability of wind energy is still in debate); nor from the perceived financial advantages offered to a landowner by a windfarm entrepreneur, but moreso from the state government (at the time, Labor) being so vague in its pursuit of clean energy. The state government made it clear that it would provide welfare subsidies for windfarms. Entrepreneurs such as Spitzner jumped onto this opportunity. However, the government was ignorant in its understanding of the issues of building windfarms particularly where neighbouring residents were involved, and failed to consider the concerns of neighbours with respect to a number of important issues, health being just one. Labor, with Health Minister Andrews, failed to recognize that there could possibly be a health issue. The government failed to consider the rights of neighbouring landowners. The government failed to consider the credibility of the entrepreneurs putting up large-scale windfarm development proposals who did so without a thorough awareness of the viability of the location and the effect on the community. The government’s instructions to VCAT were to build windfarms, irrespective of the personal and community cost. It failed in its responsibility to the people that it represents, simply in order to follow a doctrine based on claims that the planet is warming up and windfarms will solve the problem. Most distressing is the fact that the state government did not wish to listen to any concern raised that would be negative to the establishment of a windfarm. 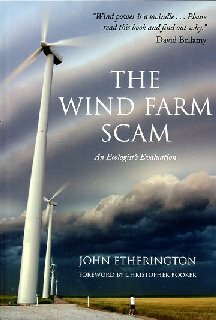 The government condoned the windfarm entrepreneurs putting up poorly researched proposals, without the foundation of adequate funding, without proper preparation and due diligence; without knowledge, wind energy engineering skills, and a sense of co-operation and communication. It was suggested to the Labor government in 2006 that a panel be established to initially vet any wind energy proposal put up by an entrepreneur, to verify the entrepreneurs credentials and financial stability, and to reject any half-baked proposals that would only cause grief to many people even if the proposal was finally shelved. Had this been done I am sure we would not have had to endure six years of anxiety. Without adequate guidelines such as the 2-km rule now in place (the prohibition of a turbine within 2-km of a residence without the residents approval), the state government made it difficult for land-owners to know where they stood. The state government’s vagueness led to confusion within local councils who were by their nature closer to the issues but still needed to comply with state government policy. But state government policy was too broad, too vague, whereas local council needed to understand local concerns, to implement local policies and yet follow state government directives. State government also exacerbated the issue by giving local councils specific rights to windfarm planning determinations, and then removing those rights of they, the State government, were not satisfied with the council decisions. In some instances this was done directly by the Planning Minister; in others, through their directives to VCAT. Fortunately some measure of commonsense has prevailed with the Liberal/National coalition, with a recognition of neighbouring resident’s concerns. The health issue needs a lot more consideration, but progress is being made. We at Devon North can be pleased that we have assisted in some respect to advise state and federal governments of our concerns which are not necessarily parochial and would be of concern with respect to any windfarm proposal. I believe we have also taken a positive educational role within the community. And we have provided both state and federal representatives from seeing for themselves the reasons for our concerns, with then leader of the (Victorian) Nationals Peter Ryan, and then federal minister Peter McGauran making several visits and taking an intellectual interest in Devon North. State and Federal governments have a way to go to ensure that rural residents do not live in constant fear of a windfarm in their backyard. If wind energy is the way to go, the governments must consider their appropriate location and must never forget that the individual has the same rights as the collective society. Fortunately, our Wellington Shire Councillors have respected that. THIS IS OF MAJOR CONCERN, NOT ONLY TO THE NEIGHBOURING PROPERTIES, BUT TO ALL OF SOUTH GIPPSLAND AND THE SHIRE OF WELLINGTON. YOU MAY NOT BE PERSONALLY INTERESTED BECAUSE OF THE 'NIMBY' DOCTRINE - IT'S NOT IN MY BACKYARD - BUT THE ANXIETY AND DISRUPTION IN DEVON NORTH CAN HAPPEN IN ANY RURAL REGION, AND WILL HAPPEN AGAIN IN OUR SHIRE AND THE 'ALBERTON' REGION UNLESS ACTION IS TAKEN - NOW. PLEASE UNDERSTAND THE ISSUES AND COMMENT ACCORDINGLY. AND REMEMBER - YOUR TAXES ARE SUBSIDISING THE INDUSTRY - LEARN WHY? Beautiful view isn't it? Now run your mouse over the image. It has now been announced that SEVEN 124-metre turbines, to the tip of the blade, are proposed. The maintenance tracks that will scar the land are not shown. Map of area. A view from my family room (and this is totally acceptable by the VCAT tribunal). "It is morally reprehensible for a land-owner to gain financial benefit at the expense of his neighbours." Paraphrasing Jared Diamond, Collapse - How Societies Choose to Fail or Survive, Penguin Books, 2005. "(These) wind monsters will do nothing useful for us, will spread environmental harm and above all have only one serious function - of minting money for the undeserved, aided and abetted by the uneducated.."
Have a look at it SYNERGY WIND'S website - its not so much what they say but what they don't say. The principals speak of a dedication to wind energy - no, it appears more like a dedication to making money through government subsidies - thats why they havn't started building it yet, two years afteer the VCAT decision - VCAT gave them FOUR YEARS to commence the project because Synergy Wind claimed they were uncertain of the (state and federal) subsidies available at the time. FOUR YEARS!!! And then another two years to construct it. And if they do they will be in for a shock. An investor would be a fool to consider Devon North of all places. Independent wind assessments show that this inland site has not enough wind - both in strength and consistency - to be economically viable even with a subsidy. The potential investors would do well to obtain their own evaluation on the financial viability of the site. Maybe some of them may also consider the morality of defacing the land within a residential area, and the social and health concerns that an industrial project such as this has, and will continue to have, on the eighty or so residents living within 2km of the site. The heath issue is becoming extremely important - there are enough established windfarms in Australia now, and the rest of the world, to collate actual health data and document real health issues which will leave some windfarm operators and land owners in dire straits when the legal issues are raised. If the wind farm operators do not evaluate and attend to the health issues they will be in for some very significant legal actions. There is place for wind energy in Australia - but not in close residential areas like Devon North and Carrajung. It is financially absurd, commercial unviable, morally disgraceful and socially corrupt. Fortunately the state and federal governments are taking a real interest in these issues. Interesting note: The landowner has left the property. The residence is being rented. The farm land is being leased separately. Four years have passed since VCAT gave their blessing to Synergy Wind to construct a seven-turbine windfarm at Devon North. Prior to construction, Synergy were required to complete sixteen conditions and submit a new application to Wellingston Sghire Council for approval to proceed. Some of these conditions required communication from Synergy Wind with affected neighbouring residents. This has not been done. Indeed, Christian Spitzner of Synergy Wind has not, insofar as I am aware, communicated with any neighbouring resident. Spitzner is now seeking a one month extension to the permit application. This goes before council on 7 February 2012. If granted, the entension will be to 15 March only. One would think that after four years Synergy Wind would have their act together, but they appear to want an extra month. Part of the land that was proposed for the windfarm is up for sale (on a separate title). And the residence (also on a separate title) is also up for sale. Indeed, the whole shebang is up for sale - Spitzner has the windfarm contract on sale according to the German and Australian websites. We, the Concerned Residents of Devon North, are still in limbo. In a remarkable demonstration of indifference to the people, the two-panel board of the VCAT tribunal finally released their verdict, just three days before Christmas, 2007. This endorsed their apparent disconcern for the people of Devon North by their ruling that the decison made by Wellington Shire to refuse a permit to Synergy Wind was over-ruled. Despite the valid arguments expressed by legal council for both the Wellington Shire and the Concerned Citizens of Devon North, and their several expert witnesses, the tribunal simply considered the Victorian governments planning guidelines and supported Synergy Wind. It took them nearly four months to reach their conclusion. The VCAT report is a remarkable document in that the tribunal clearly demonstrated the complete disconcern for the wellbeing of the neighbours, and simply supported the direction that the Bracks government (now Brumby) required of them. This incomprehensible puppet hearing cost the resident some $40,000; and probably a similar or slightly lesser amount from the Wellington Shire. As the VCAT decision was so apparently a foregone conclusion, why go through the charade of a tribunal hearing? Why? Because it is aimed at making the public think that yes, they can be heard if they have a grievance. And it is true - the public can be heard, but no decision will ever be taken that contradicts the wishes of the government, irrespective of what the public want. Not only is the decision made by VCAT a disgrace, but to release it three days before Chritmas just shows how callous and inconsiderate the tribunal can be. To add to their disgrace, the VCAT tribunal gave Sydnetgy wind an extra two years to get their act together. Sydsnergy Wind asked for this as they had not yet made any applications to the Victorian Government and were waiting to see how the subsidies went. This means that Syenergy Wind have four year, till Chriistmas 2011 before they need to turn a sod; and two years to complete the project. Yes indeed - the public be damned!!! We may well have lost the battle, but not the war. Legal action is being considered at Supewreme Court level, fortunately not at our expense. And discusions have led to the opportunity to take a class-action against the wind-farm land-owners if the project goes ahead, on grounds that were not covered by VCAT. The fourth and last day of the VCAT Hearing brought by Synergy Wind to seek to overturn the Wellington Council's decision not to issue a permit for the windfarm at Devon North was held in Melbourne on 6 September 2007. Synergy Wind did not met the VCAT deadline of providing amendments to their Permit Application by 31 May 2007. An extension for one week was agreed to, and information received by relevant parties on Friday 8 June 2007. Documents include expert witness statements in regard to planning, noise, shadow flicker and visual amenity. As Synergy Wind did not present photo montages with their permit application to the Wellington Shire, they have been ordered to do so, to include with their ammended report to b given to neighbouring landowner by th end of May. The preparation of montages is part of the consultative process recommended by AusWEA, and yet was ignored by Synergy Wind. It can only be presumed that pressure by neighbouring landowners, the shire and VCAT have led Synergy Wind to contract a landscape architecture company to photograph the proposed windfarm land from the residencs of the objectors. On 17 October 2006, Wellington Shire Council rejected the application by Synergy Wind to erect a nine turbine windfarm at Devon North. Shire planning had recommended the proposal, based on the guidelines of the state government, and local planning acts. The motion then went to the shire council meeting to be decided by the nine elected councillors. The vote to reject the proposal was six to one, with one councillor absent, and one having a declared interest (in that a relative was in the wind energy business). Council considered the concerns and rights of the neighbouring residents and rejected the proposal predominantly on the grounds of it being in an inappropriate location. For more reports, go to 'decision'. The Greens will campaign to stop the Bald Hills wind farm in the seat of Gippsland South in the lead-up to the Victorian election in November. The newly appointed Greens candidate, Jackie Dargaville, (who will contest the seat held by the leader of the National Party, Peter Ryan), says the Australian Greens support renewable energy over coal and nuclear electricity generation, "But we do believe that renewables should be in the right place," she said. "In coastal areas of great beauty and fairly high population and a lot of tourism potential we believe that's not necessarily the way to go unless that's what the community wants." MINISTER MULLS NATIONAL PROCESS FOR WIND FARMS. [August 15, 2006, ABC News Online, extract]. Federal Environment Minister Ian Campbell is considering a national approach to deal with wind farm velopments. Senator Campbell is in South Gippsland in Victoria, today talking to locals about wind farms. Senator Campbell says he will try to establish a nationwide process to deal with wind farm proposals. "The Labor Party across Australia is riding roughshod over communities," he said. "I'm very keen to bring in a national wind code that insures that communities are guaranteed a say in these major industrial-sized installations around our beautiful countryside." SYNERGY WIND PTY LTD have formally submitted their planning application to the Wellington Shire Council. Objections closed August 3, 2006. Synergy Wind have send neighbouring residents notice of this application. The documentation provided is of very low professional standard, with innuendo and what is clearly misleading information. The formal Application for Planning Permit contains the same document as sent to neighbours, plus additional information, consultant reports, maps and photo montages. It is not of a high professional standard, being disjointed and awkward to follow. Link here to see a list of comments relevant to the application. To see the formal permit application, go to the Wellington Shire offices in Sale and Yarram. Annotated Proceedings of the VCAT hearing at Sale, Victoria, 1-3 August 2007. More Puff Than Power. See article by Geoff Strong, The Age newspaper, 10 August 2006, page 15. (And checkout the cartoon - oh dear!! !, so that's what they mean by wind power. Macarthur Windfarm objection, by James Lyon: macarthur. This most prefessional report concerns more the dubious benefits of windfarms - technical but absorbing. LaFontaine has also been reported in the Weekly Times, with several excellent Letters to the Editor rebuffing her, shall we say, misleading comments. Peter McGauran on 'immoral' windfarms. Recent letters to the Yarram Standard News. See YSN correspondence, re no reduction in greenhouse gases. The German company behind Synergy Wind is Turnus Energy.They are basically an investment group, seeking investors in Australia because of our government's 'generous wind energy consessions'. Quote: "There are numerous incentives for foreign companies to enter the renewable energy market (in Australia).There are excellent investment and sales opportunities for foreign wind energy companies." Threat of defamation, brought by Synergy Wind. Enter here for details. Facts and Figures - summary. Neighbours and Community - Your Say. Yarram Standard News articles & letters to editor. Further Reading - Supporting Documents. Map of region and location of turbines with reference to nearby residences. Photo Gallery - view the region before it is too late. Comment and notes on Permit Application. 1. The economic and environmental value of windfarms. 2. The appropriate placement of windfarms and their effect on the local community. 3. The veracity of the information provided to the public by corporate and political interests. These matters are covered in the following argument. The objective of this website is to provide information, and access to further references, and to document concerns and actions in regard to the proposed Devon North windfarm between Ingles Road and Bolgers Road, Devon North, near Yarram. (Also refered to as the Yarram Windfarm by the wind energy company). There should be no secrecy in expressing concerns, whether for or against any proposal. The only request is that anyone commenting on the windfarm proposal, and wind energy in general, be familiar with the subject, and not be distracted by emotion inspite of it being a very emnotional issue, as any such issue may be that affects your lifestyle. Even if you have no interest in wind energy and do not care where these huge 100 metre wind turbines are located, at least be aware of the arguments, and considered that one day, the Day of the Triffid may arrive at a farm near you, but unlike the triffids, the towers will be here to stay. There is much more information to be provided on this website, and some arguments need to be substantiated with further references. The concerns and arguments offered on this website may not necessarily be applicable to the Devon North windfarm proposal. The only way to debate any intrusion into your lifestyle by government, industry or private individuals is to have a knowledge of the situation and the concerns, and to communicate. As citizens and members of the wonderful community in the Yarram district, we should be entitled to a say in what affects our way of life and to receive valid information so that we can comment, support or oppose any proposal as we deem appropriate. 1. The federal and state governments are committed to the introduction of wind energy. That they wish to reduce green-house gases by reducing carbon-dioxide emmissions is commendable, but by suggesting that wind energy is the panacea to achieve this is misleading at best, fraudulent and indeed corrupt at worst. With state and federal governments committed, even local shire governments can be over-ridden as has happened within the South Gippsland Shire boundary, by (now ex) Planning Minister Delahunty laying down her law. Hence any objection to a proposed windfarm will require a fight not only with the wind energy companies and the landowners but also against the state government (in particular), even if the Shire of Wellington (in this instance) is against them, as they should and hopefully will be. 2. Disclosure clauses in contracts between the wind energy company and the (proposed windfarm) landowner prevent the landowner from being able to discuss and debate the proposal, without due authorisation from the wind energy ompany. The landholder is prevented from speaking publicly to any concerned group (without permission), and is even prevented from listening to and debating any concerns that the community may have. In signing such contracts the landholder is agreeing to refuse to discuss the concerns of the community and as such could be seen to have turnd their back on their neighbours and the community. The proposed windfarm landowner can negate this attitude by refusing to sign a non-disclosure clause (which will not be accepted by the wind energy company and hence a contract would not be drawn up), or by ensuring that th wind energy company shows concern for neighbouring residents by active communication. Money is at stake here, and some a significant amount may be made by some landholders, at the expense of their neighbour's quality of life, without any debate. One could question where this stands with your right of free speach in Australia? Secrecy Clauses in Contracts. - Newspaper article. Christian Spitzer is, apparently, the project manager for Synergy Wind, based in Melbourne. There is no conformation of this on the Synergy Wind website. As of 8 September 2005, Synergy Wind Pty Ltd has a paid up capital of just $200 and was registered on 9 November 2004. The directors are Heinrich Ostendorf, a 'resident overseas', and Coralie Deanne Sutcliffe of St.Kilda, Vic 3182. Their letterhead shows only a P.O.Box number in Balaclava. There appears to be no corporate shareholders - the consideration being that a larger wind energy company may use a small start-up company as a front. Nor is there any apparent connection with any Germany-based company - such relevance will be appreciated on reading the letter indiated above. It is feasible that a small-start-up company such as this could be established with th objective of not to actually build and maintain a windfarm, but to do all the groundwork up to permit-receipt time and sell the rights to build and operate the windfarm to another company. With a start-up capital of just $200 it begs the question of the viability and security of such a company proposing to install a multi-million dollar windfarm for the first time in Australia. Synergy Wind Pty Ltd appear not to have an Australian website. [They do now - see www.synergy-wind.com, launched in January 2007 (better late than never) by Turnus Energy in Germany]. However, the corporation behind them is Turnus Energy, a German investment group that see Australia as a good investment opportunity for German investors, and the introduction of German technology into Australia, and state "The Australian government is committed to supporting Australia 's renewable energy industry. There are numerous incentives for foreign companies to enter the renewable energy market as well as incentives for Australian consumers to adopt renewable energy products." Turnus Energy indicates that only a few components are manufactured in Australia so this is a great incentive for Germany's exports. Turnus Energy seeks further investors in Australia's wind energy program. (As of 12 June 2007): The Turnus Energy windsite indicates that Turnus Energy is responsible for the project management of several wind farm projects being developed by Synergy Wind Pty Ltd. There is no indication of where these 'several' windfarms are located. Even the Yarram Windfarm is not mentioned specifically. Nor is there any indication of what other windfarms Turnus Energy hve been involved in. In an attempt to determine more about Turnu Energy, the 'contact us' link mentions only Christian Spitzner, 'an entrepreneur and founder of several companies', who appears to have been somwhat of an internet whiz in his early days. There is no indication that Spitzner has had prior experience in wind-energy. Australian Wind Energy Commission. You will note frequent mention of this quango, a Federal government sponsored body establish to promote the ideals of wind energy. Landowners of the property where the proposed wind farm is to be located, between Ingles Road and Bolgers Road, Devon North, about ten kilometers north-west of Yarram, South Gippsland, Victoria, Australia. Concerned Residents of Devon North. The neightbours to the Helleren property whose lifestyle will be diminished though the installation of a wind farm within their community. Federal, State and Local Government. Prime Minister Howard, and Premier Steve Bracks, have a mandate to introduce wind energy. The Wellington Shire Council, at Sale, is the relevant local government shire to oversea the required permit applications. Owners of land between Ingles Road and Bolgers Road, Devon North, ten kilometres from Yarram in South Gippsland, are proposing a windfarm development of some six to ten wind turbines on their property. A fifty meter windtower has been erected on the property. The land is the property of L. & G. Helleren. Needless to say, neighbouring property owners are vitally concerned about many issues that will affect their way of life and their right to quiet and safe enjoyment of their own residential property. What makes this wind farm proposal somewhat disturbing is that there are many neighbouring properties which are totally residential, that is, the land is residential only. The surrounding area is not all 'farmland', nor pine forest. A dozen or so residences along Bolgers Road were constructed because of their location and view south toward the ocean and Wilsons Promontory. This section of the road is, for all intents and purposes, a 'residential area', classified as rural-residential. The owners have built or aquired their home on the basis that they may enjoy the right of a quiet existence with fine rural and distant ocean views. One residential property in Ingles Road was purchased under the sole incentive of the excellent rural view, quiet existence, and proximity to the township of Yarram in order to raise a child, and continue a profession as an author. Others on Bolgers Road were built to enjoy a quet rural environment away from the metropolis of Melbourne and indeed the township of Yarram. Will you be affected? Do you need to be concerned ? Even if a windfarm is not currently proposed for your immediate area, you will be affected in some way, minor or major, be it social attitude or perhaps a fiancial one. By reading the following document you will be better able to determine for yourself just where you stand, ethically, intelligently, socially, financially. And consider this - if you live on a rural property or on the edge of town - walk around your property and have a look at the view. Where could a windfarm be sited. If you have a landscape view to the hills or the coast, you are propably on a hill. The very hill that your residence is built could have a windfarm. The very hills and coastline that you are looking at could have a windfarm. No-one is immune to their intrusion into your way of life. And remember, residential properties two kilometers away from a windfarm experience sound disturbance, and even residence seven kilometers away have complained. Please note: The specific issues raised here are discussed in general terms and may be applicable to any windfarm proposal. Where they are specific to the Devon North proposal, there is indication of such; and each section concludes with a specific reference to its perceived applicability to Devon North. The value of wind energy in direct terms of reducing carbon emmisions in Victoria is debateable. The ideology that it will reduce greenhouse gases (in this instance in eastern Victoria) by the reduction of the burning of brown coal in the LaTrobe Valley, is flawed. Power stations such as Loy Yang will not decrease their use of coal simply because the power station needs to continue to operate at full capacity to ensure that Victoria (and the greater grid) recieves the electrical energy needed to sustain the demands of industry and residences. More on this debate later. It is in many respects a separate wider issue, particularly considering that your taxes are helping to prop up the wind energy industry. Windfarms are subsidised by the state government. All Gippslanders should be concerned about this and take the time and effort to understand the costs, in both financial and social terms, of wind energy. Qualification: Try the Darmstadt Manifesto, September 1998, for a start. (Will be listed later). Measurement: Until the government, both federal and state, release details of subsidies to the wind energy industry then the true value cannot be measured. One must ask why the government needs to subsidise windfarms if they are so beneficial. The government is however subsidising in order to buy green votes and show Australians and the greater world power that Australia is indeed a responsible nation that respects the need for environmental wisdom, in spite of not signing the Kioto Agreement. They are playing a mathematic game of balancing green energy 'points' related to carbon emmisions, and each wind turbine is 'credited' with a point factor showing how it reduces green house carbon emmissions. The establishment of windfarms in Australia appears to be more politically driven rather than economically and scientifically based. This is not to suggest that there is no benefit of wind energy. But we, the public, need genuine answers. The Bracks government was instructed by the Federal government to provide at least 2% of their (electrical) energy needs by the use of renewable energy. In his generally off-the-cuff way, Premier Bracks has offered a 10% figure, without considering the ramifications of many thousands of wind turbines across the country. But more disturbing is that the state government has not indicated how it will go about to reduce the carbon emissions by, presumably, reducing the burning of brown coal in the LaTrobe Valley. Where are the figures that state that by such-and-such a year, Loy-Yang and Yallorn will reduce their consumption by the amount that would be required to generate the same amount of electricity that the wind farms would produce. Consider that each turbine produces no more than 2 Megawatts of electricity, one thousand wind generators would produce only 2,000 Megawatts - but thats not taking into account their (in)efficiency factors which reduces the actual figure to 720 Megawatt. The Bracks Government has set a target of producing 1000 megawatts of electricity using wind power by 2006. In 2003 the Latrobe Valley generated 6,000 megawatts (currently 7,500 megawatts - so we are consuming more power). In the UK 1,030 wind turbines deliver only 180 megawatts - and in an average winter need the amount of 50,000 megawatts. And note: If the Bracks government has, therefore, a target of 1000 megawatts - why does the government not translate this in real terms and equate it to a reduction of a specific amount of brown coal burnt (and thus a specific amount of carbon emmissions reduced). Will indeed Yallourn and Loy Yang be phased down by 2006. In Germany, where there are no fewer than 14,500 wind turbines, not a single fossil-fuel power station has been decommissioned. It is interesting to note that in the document Latrobe 2021 - The Vision for Latrobe Valley, there appears to be no mention of a reduction in the output from Yallourn nor Loy Yang. Note: The Bracks Labour government has just a few months ago (July 2005) renewed the coal burning licence to the Hazelwood power station in the Latrobe Valley for the next THIRTY YEARS. There was no clause relevant to winding down coal consumption as a result of wind energy electricity generation (nor any other renewable energy source for that matter). Some argument has been raised about the environmental cost of actually constructing and installing the wind turbines - in terms of energy used and thus carbon emmisions due to factory emmisions, vehicles and transport, and erection machinery, and in manufacture of the materials (steel and fibreglass), and fabrication. Although any debate on the 'benefits' of wind energy should consider such 'losses', it has been evaluated that only 2% of the rated value of carbon emmisions saved by running a wind turbine, as a result of not burning fossil fuels, should be deducted. Further concerns for consideration: Cost benefits, Installation costs, Employment consideration. Why are windfarms in England being dismantled? The main social concerns are parochial. These are serious social issues that affect not only those who experience the degration of their quality of life due to the proximility of windfarms, but also to the wider community issue where the lack of communication, and the 'need for greed' as it has been described, has divided communities. If its not in your backyard, then why be concerned? Apart from the need to be concerned about all your neightbours, including those who propose windfarms, there is the great expectation that one day, it could indeed be your backyard. The following issues will be further debated as facts are provided and experienced. Neighbouring property values ARE diminished in real terms immediately a wind farm is proposed, let alone being built. The interest in a propewrty diminishes immeditely, to the extent in some instances of NO interest, which in tern equates to the value of the property. Where interest in the property is encouraged, a reduction in price, ie its real value, is need to maintain interest and derive a sale. There is documnted evidence of property devaluation, and in one instance, a property of $460 was reduced by 30% to $320,000. It has been indiated that property values will drop by at least $100,000. Now consider this. It is the residence and its residential land that is devalued, not so much the farm land. Arable land, and land for animal husbandry, is not expected to be devalued, as the use for the land continues, all other factors considered. It is the HOME, the residence, that takes the devaluatiuon simply because it has a lesser attraction for someone to LIVE there. So, take the following scenario. If a windfarm has say five neighbours, and the land is all arable or animal husbandry, and there are no residences on the property or within an affected distance, there is no perceivable drop in land value if the activity for which the land is used does not change or is not inconvenienced. But imagine in a separate scenario that just twenty houses - HOMES - are near and direct neighbours and they are indeed affected by the placement of the turbines, then we have a potential loss of property value of TWO MILLION dollars. This is turn reflects on the rate revue that can be collected. And of course, it reflects back on the community as a whole as the shire has less revenue to use effectively. What about the increase in value of the land on which the turbines are placed? Is this land more or less valuable? If it brings in a substantial extra revenue over and above what it was previously used for, it seems logical that it must.increase the value of the land. But to what extent, if indeed anything at all. An actual situation exists at Toora whereby a landowner said, "well, if the neighbours are into it, I may as well have a turbine or two on my small property". They were duly constructed. For whatever personal reason, perhaps it was the noise or flicker or whatever, the resident decided to sell. But there were no takers. The reason is obvious. The revenue from one or two turbines is under $15,000 per annum. Who in their right mind threfore would buy such a property, considering the inconvenience of the visual intrusion, noise and flicker perhaps, for such a small annual revenue. The value of the property certainly did not rise because of the turbines, and in the worst scenario, if the there are no buyers and the residence is virtually unliveable, then the value of the property is ZERO. If all else fails - there is a matter of common law that if an owner's land value diminishes as a result of an action by a neighbour, that neighbour can be sued for causing the devaluation. This is currently been investigated and as there are precedents, it may indeed be a straight forward legal argument that an individual may take, or a class action, against the owner of the windfarm land. And it is understood that the litigation is against the landholder, not the wind energy company. It will certainly bcome an issue when the local council reduces rates as has been done by the South Gippsland Council. More on this as further details are determined. And a comment from AusWEA: (I paraphrase) - "There is no devaluation of property as a result of a neighbouring windfarm. It may take longer to sell, but eventually it will sell. Its just a matter of time, not value". How credible is that!!! Qualification: (of the aspect of devaluation): Any local land valuer, or estate agent can provide a practical judgement. Various panel reports and newspaper articles. Measurement: Specific reductions as indicated by estate agents. It is understood that the South Gippsland Shire has reducd the value of some properties by as much as 40% as a result of their proximity and effect of windfarms. If in doubt about the reduction in neighbouring property values, just ask yourself, if you had the choice of purchasing a property with, or without, a neighbouring windfarm, which would you prefer. If you would prefer a property withoutthe neighbouring windfarm, what would entice you to buy it with a wind farm next door. I can only think of one incentive - money - a reduction in price. Further to Devon North specifically. Property One: Formally devalued by $100,000 due to the proposed windfarm as a neighbour; this represents about a third of its value. Property Two: Formally devalued by a bank when an extended mortgage loan was requested, by an amount of $40,000. Property Three: Owners wish to build but are advised otherwise unless the windfarm does not go ahead, because of loss of potential value. Property Four. Formal valuation figure (prior to the windfarm proposal) reduced by $50,000 by real estate agent effective immediate, even before the final decision is made on the windfarm, with 'probably a greater devaluation if it is built'. Property(ies) Five. Local land owner waiting to see if the Devon North windfarm will go ahead so that he may purchase further land at a reduced rate. See also Windfarm noise - surveys. There is the misconception, and indeed a mischievous misconception, that the wind turbines cause no noise. "After all, if the wind is blowing and the blades are moving, then all you will hear is the wind rustling through the trees anyway". Thats the sort of debate that is totally inconclusive and destructive.And it is not a claim made by the Dollar Wind Farm company in their documentation. They have the courtesy to admit that: Noise levels have been predicted at all residences in the site and immdiate surrounds. It is an important issue. Compression noise - the 'whoosh, whoosh' noise as the individual blades pass by the column, resulting from a compression-decompression of the air pocket which causes the sound. Blade tip noise - some noise can sometimes be heard due to the tips of the blades whizzing through the air at around 215 kmh. Does this sound incredibly fast to you? You could work this out based on a blade radius of 50 metres and 25 rotations a minute, but it is also quoted in AusWEA documents. Turbine noise - from the turbines themselves - the gears and generator. Initially these should be rather quiet, particuarly if you are standing beneath a tower. After all, what better place to check out the sound of a wind tower by standing next to it? Wrong - totally wrong. More of that later. The gears and turbine should work nice and quiet when they are new, insofar as a listener on the ground is concerned, but what happens after a year or two as several tons of equipment grinds itself into the ground so to speak. Will the equipment be maintained to reduce noise? I would think that that would be on a low priority as far as the wind energy company is concerned. Low frequency machine hum - this is perhaps the more insidious. Is the very low frequency hum that such turbines generate, a 'noise' that is imperceptable if one 'listens for it', but a noise that literally penetrates the home and brain and can cause considerable irritability without even knowing the cause. Try sleeping at night with the constrant drone of an engine in the distance. Being annoying is one thing, but having it affect your health is a much more serious matter. This problem of low-frequency noise emitted by the turbines has led to well-documented cases of long-term depression and illness in Cornwall and in north Wales. No doubt we will find similar studies of such intrusion into out health and wellbeing over the next fews years here in Victoria. There are also reports of a high pitched whine that travls over a great distance and can be heard several kilometres away. 'Generator house' noise - have you noticed that thecompanies proposing wind energy do not make an issue of the 'generator building' - some dont even mention it in their documents. This is actually a building sited near the wind turbines. It does not 'generate' electricity - that is done by the individual generators in the nacelle of the windmill - the top bit behind the blades. The 'generator house' collects the electrical energy so to speak from each of the windturbines and 'bundles' them into the required voltage for 'insertion' into the local power grid. The inappropriate location of a 'generator house' could be a neighbour's worst nightmare. Qualification: There are technical papers and survey studies available but the best is to experience it for yourself from neighbouring properties, especially residences, and to speak with neighbours who have sound intrusion. Noise is a factor that not even the wind generation companies attempt to deny. A visit to the wind energy company office at Meniyan will provide an honest answer - THERE IS NOISE - and it can be considerable. Just how much is the interesting point. And dont think for a moment that just standing under a wind tower will give you a clear indication of 'noise'. You need to visit various locations at various day under variou climatic condition. And thats just what the neighbours experience in any case, so talk to them. And surprising as it sounds, wind turbines have been heard seven kilometres away when there is hardly a whisper within a matter of yards. Note again this quote from the Dollar WindFarm Report - "Noise levels have been predicted at all residences in the site and immediate surrounds." And ask yourself the question: why should you have to put with any noise. Measurement. The wind energy company will ask to come onto your land and to do ambient noise tests, so that, AFTER the windturbines are constructed, they can do another text and say, "well there you are, no perceptable increase". Thats all very well. But be aware how and when this ambient noise is measured. Is there a tractor labouring away in a near paddock? The argument could be that that this is all part of rural ambient noise. Absolute rubbish. A tractor is a most acceptable part of rural life, and its noise rarely interferes with regular family life within a residence. It is an intermitent noise, just like the lads roaring past on their Yamahas, or the milk truck going by. It is not a constant ambient noise, and should not be incumbent in the ambient measurement - just as the sound of a tractor's engine operating for twenty-four hours of the day would be unacceptable. Note: A representative of the then unidentified wind energy company entered the land owned by a neighbour to the proposed windfarm location, with the neighbours permission it should be added, and took 'readings'. The neighbour thought that these were ambient sound readings and was concerned that a tractor was indeed labouring away some three hundred metres distant. On questioning this with the proposed windfarm owner, the neighbour was told that the man was taking GPS readings. This begs the question as to why GPS readings were required on several points of the neighbours property. It does not make sence. But ambient sound readings - yes, they need to be taken right on the property, at different locations in relation to the residence, so that the record reflects the situation specifically at the neighbour's property. No doubt such readings were taken at Toora, but it does not seem to have mde any difference - the noise still persists irrespective of the readings. And furthermore, will the neighbours have access to these readings taken before and after the turbines are in operation, and if readings are taken after the turbines are in operation, with they be taken at a prominent time when the noise is significant. The Dollar Windfarm Report indicates that a typical wind turbine 350 metres away will create more noise than a quiet bedroom which thus infers that the sound from a wind turbine will indeed be heard when attempting to sleep. It is stated that such a 'typical turbine' rates at around 40 dB, whereas a 'quiet bedroom' is around 25 dB. It could be argued that the sound in your bedroom could nearly double as a result of a wind turbine at 350 metres. If annecdotal evidence is insufficient, s it would be in a court o law, it is not difficult to measure sound. But there is overwhelming annecdotal evidenc that when matters reach the courts, the evidence must be considered. And if 'minor noise increases' are dismissed as trivial, there is plenty of evidence that turbine noise is disruptive to the point of health risk, anxiety, sleep depravation and annoyance. One landowner statement in the Toora hills developmen indicates that the family cannot open their windows on a still summer night because of the noise, and have fitted blinds to overcome the flicker - and the turbines are about two kilometers away. AusWEA admits to wind turbine noise being of consideration, although 'they are not noisy in operation'. However, they state that noise considerations are what normally determines the 'set backs' from residences. 'Setback distances range from about 400 metres to 1 km or more, according to a variety of factors'. These factors are 'the noise standards prscribed, local topography, prevailing wind conditions and the wind farm layout'. In another document AusWEA state 'wind turbine do make noise'' but 'they are much quieter thn people expect'. Which people - those on a casual visit or those who have to live with them. And would you believe that AusWEA actually state that, "It is possible to carry out a normal conversation at the base of a turbine running at maximum power, without raising one's voice'. Thats sounds encouraging, except that it does not address the question of the volume and type of sound. One can also whisper sweet nothings to a partner in a bedroom with a truck engine idling on the roadway but you wouldn't want to live with it all the time. It could be distracting! AusWEA lets itself down tremendously with spurious argument like this. AusWEA also state categorically that ,'When there is little or no wind, a wind turbine does not operate and therefore produces no noise'. This is misleading. It is true that the wind turbine does not operate but the blades still turn for the engineering reasons mentioned. According to AusWEA's pwn chart, the indicative noise level of a wind farm at 350 metres is the same as a busy road at 5 km (35-45 db(A), and just 10 db(A) less than a car at 65 kmpm at 100 metres. Thus it goes without saying that anyone who transfers to the country for a quiet environment is not going to be hppy with the sound of a busy road, even at 5 km distance. And indeed, why should a country resident have to tolerate ANY increase in noise. AusWEA state that the Environment Protection Authority (EPA) 'will issue guidelines for noise limits nd recommend standard methods to use in predicting and measuring noise'. However, the setting of a noise level criteria is the responsibility of 'the relevant Regulatory Authority', which, it is understood, is the local council. Specific to Devon North: Some residences will be as close as 400 metres. Others are in a geographical location such that surrounding hills will channel and echo sound, and will certainly receive low frequency noise. Such is the concern of noise and disturbance caused by the turbines that the South Gippsland Shire Council sought a meeting with the Toora Windfarm developer, Stanwell Corporation, "to see if common ground can be found to resolve noise problems associated with wind turbine operation at the Toora wind energy facility". (The Mirror, 8 June 2005). Korumburra Ward Councilor Warren Raabe belived that the Shire might be the first municipality in Victoria to try and resolve the anomalies between the turbine noise compliance and the disturbance of residential amenity. Grand Ridge Ward Councillor David Lewis said, "whatever people feel about the wind turbines, it is our duty and clear responsibility to protect the amenity of our citizens". The point to be stressed is - noise is a major concern. This is a terrible environmental situation to have to live with - and some residents do. Flicker is the passing shadow of the blade. It can be perceptable several kilometres away, sometimes too slight for the mind to register as a change of light pattern, but not too imperceptable for the brain to register. More needs to be determined on the subtle effect on the brain, but no research is needed to see how it can drive you crazy if you are in your lounge room attempting to relax. And it may not only be direct flicker - in your eyes, so to speak. It could be landscape flicker, where the shadow on the ground pulsates as each blade momentarily blocks out the sun. If the landscape is part of your view, the effect is soul destroying. Again it is something that is rarely discussed. Government guidelines request that a flicker model be conducted but one could be excused for having doubts that this is always done. And of course, once the towers are up they won't be coming down, no matter what the protests. AusWEA recognise that flicker and shadow can be a problem and that, 'The potential for shadow and flicker at residences should be assessed and minimised". Note - minimised, not eliminated. They also note that, 'the landscape character needs to be considered along with assessment of the primary views of that prticular landscape and the values the community ascribes to it'. Qualification: It can only be expereinced. A documentary film is avilable showing how devastating this can be to the quaility of living within an affected residence. Measurement: The strobe effect would be of significance to those studying the brain, but specific measurement is not necessary to appreciate the concern of the situation. There appears to be no definition of the 'intensity' of flicker, and without such a study it is difficult to determine the real effect of flicker as both a matter of annoyance, and the strobe effect on the brain. Specific to Devon North: The residence in Ingles Road is certainly going to experience flicker as it appears that the blades will be in a direct line between the residence and the late afternoon and setting sun. The goverment has set an acceptable 'flicker period' at 30 hours per year. Thats an average about 35 minutes a week, or five minutes a day. Even that is unacceptable, but the 'average' is misleading. Assume that just 30% of the days are clouded in, this means an average of seven minutes per day. In the instance of the Ingles Road residence, a specific clear day instance of flicker could be around twenty to thirty minutes. The likelihood of flicker to Bolgers Road residences has not been determined, although one residence near Five Ways is may experience it during the setting sun. This concerns the reflection of the sun from the blades, and is experienced as a strobe effect that varies in the visible location as the sun moves. If directed toward a residence, the stobe effect would 'track' across a window or room for example during certain times of the day and season, and is of course dependant on weather conditions. Manufacturers of the blades are supposed to use material that prevent glint, but they have not been totally effective. This is another insidious effect of the turbines and is not generally documented in the proposals offered by wind energy companies. Qualification: Visually experience it. This can be difficult at times for a visitor to a location as the strobe effect tracks across the landscape, but is certainly apparent to an ever-present resident as it tracks across a home. Measurement: Because of the 'tracking' nature of the glint, it is not measurable in one spot for any appreciable amount of time, and in this difficult to measure, but is certainly apparent over a tracking path. Imagine a strobe effect 'dancing' across your lounge room during the early morning or late afternoon. But being difficult to measure means there is no measureable standard of reference, so it goes into the 'too hard' basket insofar as environmental limits are concerned. Specific to Devon North: To date, no specific determination has been made of the effect of glint. The Ingles Road resient could experience early morning (rising sun) glint. Bolgers Road residences are to the north of the proposed windfarm, and may experience glint during the middle of the day with the sun behind the residences, and the blades in the approprate position. You either hate them or loathe them - okay, some people may even like them, and young children think they are wonderful. When I first heard my young son call out 'Telletubbies" when he saw them at Toora, I thought he was refering to the bureaucrats that allow such monstrosities to be built. He was of course refering to the childrens TV program which features such windmills. Unfortuantely most of us do not live in a Telletubby world and would prefer not to see them - not up close anyway. Those who see them at close quarters for the first time are amazed at their gigantic size - 100 metres and thats just for the column - thats a twenty-five story building, the highest structures in rural South Gippsland. Photographs cannot do justice to their immensity. And only when dozens and indeed hundreds of them are seen sprouting across the green hills and an the hill horizon do you start to appreciate how intrusive they are. To the passing tousist they can be an amusement, just as I once viewed them at Toora. "Hey, the don't look so bad, whats all the fuss about", I said initially, and then was quite pleased to see them at subsequent times because it brought some joy to my son. My attitude has changed. As I talk with people who live with these towers in their backyards, and experience for myself their intrusion into what was once a beautiful Gippsland landscape, I get a sinking feeling in the pit of my stomach. Many people, including those on Bolgers Road, have built specifically for a view - toward Wilsons Promontory, or east toward Yarram and the Ninety Mile Beach, or inland, with views of rolling hills and forests. They have that right. Imagine, as some people now do, and others soon will, of being greeted by literally a wall of 100 metre windmill turbines between yourself and the setting sun over the hills and toward the Prom. This is not what Gippsland living is all about. See further comments under The Moral Issue below. * Broad community support and acceptance. * Land away from areas of high conservation value or areas of endangered flora or flora species. AusWEA documention concedes tht there is 'no universally agreed methodology for assessing landscape values' - which is understandable as the question of what is an acceptable 'landscape', ie rural or seaside view' is entirely up to the beholder. It is somwhat frigtening then to learn that AusWEA, in cooperation with the Australian Council of National Trusts, is undertaking a 'Landscape Values Project', to 'jointly develop agreed landscape assessment mthodologies that can be used by regulators as part of the overall (windfarm) project evaluation process'. This is bureaucracy gone mad. Here we have two govrnment-funded bodies now trying to determine what is an 'acceptable' visual state to 'solicit possible solutions relevant to the siting of wind farms on the landscape'. In other words, AusWEA is trying to impose a 'standard' of what is acceptable or not. It will not matter what the individual thinks or prefers, and once again will probably be bsed on canvasing passing tourists and not those who have to live with the towers in their own backyards. This is a disgraceful situation, bordering on an invasion of person liberty - the right to self evaluation and the right to express concern and disapproval when a personal aesthetic situation is opposed by the government. The situation will arise where AusWEA state, "According to established criteria we think the windfarm looks just fine, so what re you complaining about". Qualification: See for yourself. And then go home and look out from you patio, and imagine what it would be like to be confronted by a dozen white seventy metre columns and a further thirty-five metre height once you add the blades, right in front of you. Okay, your location may be such that windfarms are not an immediate intrusive threat, but what about some consideration for those who do have to put up with it, day in, day out. And when the sun goes down, these is still the noise. Measurement: Thats not difficult. See the photographs. See for youself. Specific to Devon North: Many homes along the Bolgers Road ridge will be have their view directly and significantly affected. As mentioned, many of the homes, and one under construction at the moment, have been built to take advantage of the views. The Ingles Road home is expected to have several 100 metre towers within five hundred metres of the residence. The enjoyment of views from the back patio, constructed to take advantage of the northern aspect of the hills (toward Bolgers Road), and to the north-west toward the hill of the windfarm property, have been significantly reduced. Additional note: It is understood that it has been suggested by one owner of a proposed windfarm that the intruding view of the windturbines could be obliterated by planting trees between the residence and the turbines. It would appear that the proposed windfarm owner may have missed the point here. Firstly, the resident prefers the landscape view, not a blockade of trees. And secondly, how long will these trees take to grow. Possibly by the time they are of a size to be effective we may all have come to our senses and the windfarms will be a sad memory of the past. This concerns electromagnetic radition (EMR), and radio frequency EMR refered to as RF. We need to find out more as there does not seem to be much documentation. It concerns the interference with varying frequency waves as required for mobile phone and television reception. It is of concern that the positioning of wind turbines in line with transmittors and receptors will affect mobile phone and/or telephone reception. The wind energy companies need to make the situation clear. AusWEA state that the impact of EMRs (in reltion to windfarms) is 'relatively minor', and that 'any interference can be minimised or elimated through a combination of appropriate turbine siting and special technical solutions.' Thats fine, but the problem will only be known when the turbine tower has been built, and I am ertain that any request to move the tower ten feet to the right will not be accepted. The question is, what preliminary study will Synergy Wind perform to determine that radio, mobile phon and television transmission will not be degraded or eliminated. AusWEA states categorically that, 'Care must be taken (by the developer) to ensure that wind turbines do not passively interfere with these facilities by directly obstructing, reflecting or refracting th RF EMR signals from these facilities. There is also potential for a wind turbine to actively interfere by producing its own low energy RF signal.' AusWEA also state that, 'It (television interference) cannot however be completely discounted for houses within a few kilometrs of turbines'. This is totally unsatisfactory. AusWEA state that, 'In the unlikely evnt that a problem arises ovr time at a particular site, the wind farm operator will usually be able to rectify it...' Who would pay for an ungrade or repositioning of an aerial, if indeed that in itself could resolve the problem. As it is the windfarm landowner who has caused the disruption by permitting the wind turbines to be erected, it is the landowner who is open to litigation. Qualification: Without formal data, experience is the only qualification. AusWEA admit that interference will only be known after installation of the turbines. Measurement: Any disruption to the signal is unsatisfactory. Specific to Devon North: At least one property, that at Ingles Road, may be affected. The proposed wind turbines will be in a direct line between the television transmitters at Mount Best and the home reception aerial. As it is, the aerial is 600 metres from the home, on an adjoining property, on a hill, to pick up the signals. There is no standard mobile phone reception at the home, and CDAM reception is only possibly with an installed aerial. Again we need more information, but it has been mentioned that at times, the amount of electrical energy (power) generated can be such that the leader lines into the grid become so overloaded that the electromagnetic radiation emanating as a result of the high current load can be a significant health hazard. We need more information on this, but the situation has been described as similar to living within close proximity to high-tension cabling and towers such that transmit energy from the Latrobe Valley to Melbourne. This could be a serious poblem for residents living near the feeder lines. Qualification: Not specific at present. Need to be better educated. Measurement: I am sure the radiation can be measured when it exists but this predisposes that the infrastructure is in place. We need to obtain further information on what actually occurs and the acceptable levels of exposure to radiation. Specific to Devon North: Applies to all windfarm feeder grids. The wombats will have a lot of trouble digging through three metres deep of concrete. Thats the good news. The other news is not so good, especially for birds. The Ballarat windfarm proposal was knocked on the head because of the potential disruption to the habitat of eagles. I don't think anyone seriously believes that two eagles could bring down a multi-million commercial operation, but thats the reason given by the state government to back off. Could it be that the windfarm proposal was causing so much local anxiety that the state government thought it better to back off because the Ballarat electorate is a marginal seat. Well, the Devon North proposal will test the state governments convictions. The Devon North region where the windfarm is proposed is a habitat for Wedge Tail Eagles - and the Powerful Owl and a number of species of parrot and of course other more common birds. The proposed windfarm land borders a valley surrounded by tall native trees and pine forest. On any clear day you can find great pleasure in seeing the eagles soar and circle over the land. Eagles, owls, ducks, and the crane family are frequent visitors for this is their home. It will be interesting to see how much weight 'the eagle situation' has on the Devon North proposal - because it lies in a safe National seat. There is not much the state government can do here to win votes, so this electorate is an ideal place to cause disruption as it will not affect them in real terms politically. (Remember the toxic waste dump that was proposed for Gippsland). AusWEA admits that 'bird deaths (were) blow levels predicted and accepted during wind farm approvals', for farms at Codrington, Woolnough and King Island. The measured rate of mortlity was 'between 0.23 and 2.7 birds pr turbine per year, non of which was a rare, threatened or endangered species'. It defies argument logic that AusWEA is prepared to accept a figure that is 'better than predicted' - that is, their own prediction. The positive news, as expressed by AusWEA, is that 'Putting this into perspective, millions of birds are killed by cars and other man made structuresd every year'. Well, that makes me feel a bit better!!! And, if birds are not an issue, why did th Victorian government quash th Ballarat windfarm maiing mention of the disruption to a pair of breeding eagles. Qualification: Visual experince is one thing, but we need to have further documentation, of species, quantity and environmental impact on the bird habitat. Specific to Devon North: All concerns. Once erected, the turbines will require regular maintenance. To what extent this will occur is in the lap of the Gods. This will mean use of local road infrastructure. The inconvenience may not be significant, but it must be questioned. The wind energy companies are not forthcoming in their statistics for maintenance, which would indicate frequency of access. And this is the time to note another falacy that has been previously mentioned - the Turning of the Blades. Sounds like a bad movie. How many times have you been told that when the wind doesn't blow, the blades dont turn, and thus therefore there can be no noise? Then think back - how many times have you seen the Toora blades not moving even on a dead calm day? Well, they always move, unless under maintenance or 'switched off' for any other reason. If there is no wind, the turbines withdraw electricity from the very grid that they are supposed to enhance, to drive the blades at a slow rate. They need to do this for engineering requirements, or more specifically, to reduce maintenance and increase the life of the machinery. The turbines and gears sitting in the hub weigh several tons, and the blades also exert several tons as a cantilever force on the gears. If the blades were stationary for any period of time, the constant force on just the one (stationary) part of the gears and turbines would cause the metal to fail and the turbine to break down rapidly. To keep the blades moving results in an even wear on all parts of the machinery. I guess there is another reason also. Government representatives driving past may get a bit upset if they dont see their bureaucratic interference merrily working away. * Good access for wind farm construction and maintenance. * Suitable geology for access track base and foundations. With these criteria in mind, Synergy Wind would do well to reconsider their proposal, and the Welington Shire council will need to look closely at the imappropriate use of the two main access roads, Ingles Road and Bolgers Road (and the two wooden bridges that need to be crossed). Qualification: Situation is obvious that maintenance is required. It has been stated that at least one turbine at Toora is down at any one time. Measurement: The wind energy companies should provide details. Specific To Devon North: The same as elsewhere. Access to the turbines will be via Bolgers Road and/or Ingles Road. Ingles Road is no more than a single dirt track and copes with the provision of access to three residences and to three farms, two of nwhich are non-residential. Bolgers Road is not much better, and is not surfaced. Any increase in traffic on these roads is always of concern. Won't this be fun. How the contruction company will get a heavy semi-trailer down Ingles Road beats me. I have no idea how long the sections are, but when you are building a seventy meter tower, you want to do in as few sections as possible. Ingles Road is out of the question unless the road is reconstructed. And Bolgers Road is just as difficult. Whatever happens, changes to the road, in terms of width and surface, will be needed, but it does not seem possible to do this without removing more than just a few trees. But wait a minute - the shire cannot do that. A query just recently about the condition of Old Whitelaws Track (another possible access route to Ingles and Bolgers Road), was discussed with council in regard to its condition - its width and surfacing, considering the road's'frequent use, and as a school bus route. There have been several bad accidents on the road but no one has been hurt - as yet. The shire's response, although one of understanding, was that 'it was extremely difficult to remove a tree'. And that response was in regard to a query on avoiding accidents and saving lives. So the shire will not readily widen Bolgers Road for example - unless they are told to do so by the state government. And who would pay for this? The shire of course - the government isn't going to readily hand over any compensation. So its comes out of the shire's revenue and thus the community pays for it. Then once access is provided, there is the safety consideration of the presence of construction trucks and concrete trucks on what will always be a narrow road. And then there is the noise of truck access and construction. And it will take quite a few concrete truck to construct the foundation. This is not going to be a pleasant time for anyone. Measurement: Talk to the construction company ? Thats not likely. Neighbouring property owners of exisiting windfarms may be able to advise of thei experiences. Specific to Devon North: Which way will the concrete trucks and construction trucks come in? It access is Ingles Road, then they will come down Church Road (bitumen), turn left into Old Whitelaws Track which is already a dangerous single plus a half dirt road (two trucks can not safely pass except at perhaps 5 kph, if that, and a car and concrete truck would pass with great caution), then down into Ingles Road, a single lane, dirst track that has a most dangerous blind bend which will certainly be home to an accident with a truck coming down the hill and vehicle up the hill. Totally unsuitable. If via Bolgers Road, the asccess trucks may choose to come along Church Road, onto Old Whitelaws Track, pass the T-intersection with Ingles Road and head for Five Ways (thats right, a five way intersection), turn left (very difficult as on a hill and a curve with no room to manouver), then down Bolgers Road. Or, up Church Road to the Tarra-Valley Road, turn right, then down to the Bolgers Road intersection, turn lft, then straight down the unmade Bolgers Road. But then - what about the bridge? There is an old single lane wooden bridge over Stoney Creek about a kilometer west along Bolgers Road from the Five Ways intersection. This bridge needs to be crossed in order to get to the proposed windfarm site. Will this bridge need to be upgraded to allow the continuous use of concrete and construction material trucks during the construction phase. And again, who will pay for this? The local residents and farmers will be most pleased, I think not. Don't they look nice and new and shiny and white. Go to Flinders and Kind Islands for your next holiday. They are great places to visit and the friendly natives will offer the greatest hospitality as is their wont. And have a look at their wind turbines. You'll know where they are, even with your eyes closed. The King Island wind terminal has, it is understood, not been maintained for several years. Apart from being a visual eyesore, it sounds like a truck attempting to roar up Powers Hill. If there is a noise factor now, imagine what it will be like when the turbines and more importantly the gears are several years old. Toora towers have already had some, perhaps all, of their turbines replaced but nobody seems to know why. Replacement if they dont work is one thing, but when does the maintenance schedule kick in to lessen noise. The wind companies will not present their maintenance schules to the general public, so perhaps the State government needs to ask the hard questions. Qualification: Maintenance is obviously required. Measurement: Wind energy company records. Specific to Devon North:Same concerns as other location, with frequency and route important. The comment above as per use of the dirt-road infrastructure for maintenance is applicable once again. There will be visitors wanting to have a look at this windfarm, as there currently is from those wanting to know exactly where the windfarm is located. This means extra use of the roads. Under normal considerations, the use would be insignificant but here we are talking about narrow gravel roads, one-way bridges and tight blind corners - not properly surfaced wide roads. Ingles and Bolgers Roads are unmade and not constructed for tourist traffic. The result of extra use could be quite significant, both from the view point of the residents, and the road itself. AusWEA state that 'hundreds of thousands of people visit Australian wind afrms each year', and use these figures as a positive argument for windfarms in that 'it attracts tourism'. If ever the credibility of AusWEA is at stake, this is a prime example of illogical argument. 'Some of these are casual observers who stop at roadside interpretive centres or displays. Others pay to participate in organised tours. In a number of cases, tourists are able to walk right up to the base of the tower, gaining a full appreciation of their size and the power generated by these machines.' No doubt this is true - and how many say, thank God I dont have one of these in my backyard. AusWEA are obviously not familiar with the tourist industry and have no idea what sustainable tourism is all about. AusWEA jump on the 'tourism' bandwagon to support their claim of the beauty and wonder of the windfarm concept without having any idea of what they are writing about, and have used the tourism argument mischievously to support their own means. They quote figures in Scotland and England where '94% of visitors to North Cornwall' have stated that the presence of windfarms would not prevent them from visiting again. Let's reinterpret this. Tourists go to North Cornwall because of the natural beauty and ambience of the place, the stunning countryside, seascapes and the delightful seaside towns. Six percent of the tourism revenue has been eliminated because these people will not go back there again. This to me is not a positie outcome. AusWEA admit that eight percent of potential tourists (in Victoria) would be detered from visiting an area having wind generators - and surprisingly, 36% 'were more likely to visit a coastal area if it had a wind farm'. I bet they would only do it once. A further 55% said it would make no difference. Qualification: It is obvious that both curiosity and concern will drawn some attention. Measurement: Budget studies for tourist development in communities such as Toora have not been sighted. Were any dine? I do no see any increase in the tourist development at Toora, for example. Specific to Devon North: It is highly unlikely that Yarram will experience a tourism boom as a result of any windfarm development. Statistics - and damn statistics! Did you know that 94% of 'respondents' to a Victorian poll described wind generators as 'interesting', and 74% as 'graceful', according to AusWEA. Furthermore, few people have described them as 'industrial'. . A 2002 survey 'also showed that 95% of respondents supported the construction of more wind farms. Most people would support the installation of more wind turbines as they see it as a means of 'clean' energy, but one wonders how many 'respondents' had to live with the windfarms in their community, and how many knew anything about the true value of current wind energy projects, and the cost to the community both financially and socially. AusWEA do not quote the respondent population. Such figures and intimidation by AusWEA do nothing to enhance the quality of the debate. Landowner - Wind Energy Company Contract. The contract is very much in favour of the wind energy company. The non-disclosure clause is prticularly insidious and prevents the landower from speaking on anything to do with the contract and the project. This flies in the face of the right to free speach, but it is obviously there to protect the wind energy company, who, of course, impose their own self restrictions according to their needs. Some wind energy companies are prepard to face their detractors, and others choose to hide behind a legal firewall. The landholder should read the fine print. Once signed up, the landholder is unable to easily change his/her mind. The contract states in effect that if the wind energy company is satisfied that a proposal for a wind farm is commercially viable ( a decision they alone will mde after wind monitoring), then it will go ahead, even if the landholder has had time to rethink the issue, and changes his/her mind. However - there is a legal possibility to void the contract, and a team of lawyers in Melbourne are prepared to take on a case for landowner who wishes to void the contract. Detractors of a proposal should not accept a proposed windfarm landowners plea that perhaps he/she has made a mistake, and that they cannot do anything about it because now, 'as we are locked in to a contract'. Rubbish. The contract can be legally voided, and in some instances, a wind energy company may decide not to proceed with the project for whatever reason, generally because of community demand and a priority with other projects. Qualification: Statements and expereinces by Prom Guardians representativs. Measurement: Not certain if any contracts ahve been broken in Victoria. Specific to Devon North: it appears that the proposed windfarm landowners can void their contract if they so wish. Risks - fire, aviation, lightning. AusWEA documents farm safety issues, and the risk of fire, impact on general aviation and recreational aviation, and risk of lightning strike. none of these concerns appear to be detrimental to the devon North windfarm proposal. And what happens when it is all over, twenty-five years down the track, or perhaps if we come to our senses and realise what a waste of time and energy (no pun intended) these wind turbines are in our country. Don't tell me - the wind energy company will come along and pull down the towers, and cart them away to be disposed of, environmentally of course, and dig up the three-metre deep foundations and fill in the hole, sow a bit of grass on top. If you really think this will happen, then please, enjoy the windmills of your mind for you are really in Tele-tubby land. Qualification: Show me the contract that says what the wind energy company needs to do on termination. I defy the state government to do a cost estimate on the 'deconstruction' of the turbines and foundation and the restoration of the land'. I defy the government to demand this payment per tower, to be placed into a special ledger, with interest paid to the wind energy company - less an 'administrative fee' of course - lets not leave the banks out of this - and to also index the amount each year so that the money will be available when the company mysteriously disappears or is 'bankrupt'. Can you imagine what the Victorian countryside will be like with fifteen thousand potentially rusting monstrosities? The safety hazard would be enormous, let alone the aethetics. Measurement: In reality we'll have to wait for that. The contract with the specific wind energy company is of interest, but without the government having a holding amount to ensure the work is done, the contract could be worthless in the long run. The company only has to go legally bankrupt. And if an overseas company, there would be little hope of recovery. And it has been advised, if the wind energy company defaults, the landholder will be stuck with the expense of removing them from the land, and paradoxically, the order to do so will come from the local council, so directed by the state government, who probably, by then, don't want these eyesores dotted about the country. Owners of windfarm properties need to consider this issue seriously. Specific to Devon North: Same concerns with all other locations, with the additional concern that the wind energy company is European based and could conceivably do a runner when the time comes. Whats to stop them? Wind Energy Developer Responsibility - Communication and Compliance with Standards and Laws. In respect of the Dollar Wind Farm proposal near Foster, the company, Dollar Wind Farm Pty Ltd, have made available a substantial amount of literature and have an office operating out of Meniyan. In other words, they are visible and contactable, which is the first requirement for any debate. In reference to the Devon North proposal, we do not know who the wind energy company is - at the moment. This means there can be no debate, no dissemination of information, no contact what so ever. The proposed windfarm landholders have not been forthcoming in stating who these people are, and on entering one property the windfarm developers did not offer this information nor provided a business card. Apart from the lack of communication, there are concerns that if the company is not visible, as is Dollar Wind Farm Pty Ltd, then this must raise concerns about their credibility and willingness to enter into dialogue with neighbour's, to consider their concerns, and to conform to the standards that are laid down by the state government, and local council. They will have to be identified sometime - what are they afraid of. Apart from the need to comply with local, common and statue law, there seems to be few guidelines within which the developer is requird to operate. There are Australian standards for noise, and flicker, and no doubt standards regarding electromagnetic radiation, but little else. The need to effectively communicate with all those affected by a proposed windfarm seems not to be required, with Synergy Wind (for example) communicating with neighbours several months after the wind monitoring tower was installed. When this lack of communication was expressed to the landowners, the comment was along the lines that the windtower was only for monitoring and there was nothing definate happening as yet. This vagueness leads to community anxiety and unrest, and sets up an immediate barrier of distust not only with the wind energy company but also the landowner. AusWEA state that for (wind energy) developers,'The first step is to identify the neighbours to a proposed wind farm site .... and through consultation the developer should familiarise themselves with the visual settings that members of the community and special interest groups value.' Synergy Wind have not done this (to date, October 2005), and no company member has visited any of the residences that adjoin the proposed Devon North windfarm. AusWEA also state that, 'During and sometimes prior to the planning application stages, developers are required to prepare photo montages (computer simulations) of how the wind farm will appear from these important view points.' Synergy Wind have not provided such montages (as of October 2005) and speculation is that they hve not been done. The montage at the start of this website was prepared by one of the neighbours, and is only one of perhaps thirty or forty that need to be done to cover the aspect from residences and scenic vantage points. AusWEA also recommends, 'Extensive community consultation on turbine placement. And if possible, important view points should be agreed with the community early in the process. Synergy hv had NO community consultation (to October 2005). Specific to Devon North: The company has now been identified. 'Neighbours' have been advised that a representative of the company has been appointed (probably an idependant 'consultant'), and that dialogue will take place when the Devon North project apears to be a goer, based on wind monitoring measurements. As monitoring may take twelve month at least, it would be desireable to meet with the representative sooner, rather than when the windfarm is a fait acompli. Note that Synergy Wind hve not complied with the guidelines as laid down by AusWEA. Personal Family Health - Anxiety, Sleep Deprivation, Cerebral Dosorders. Have no doubt that the constrution of a windfarm, and in particular the proximity of a windfarm, will affect your health in some way. Indeed, it may be just a minor irritation, or a time-consuming debate. But there will be some concern, from the relatively insignifacnt to a major health breakdown. Anxiety is just one factor. This is a concern. The stories that one hears from those involved in the existing Toora windfarms, and the proposed Bald Hills and Dollar windfarms are saddening. There are familiies not speaking with each other, sons who dont speak to their fathers, neighbours that are actively hostile to each other, people who avoid each other in the street, bomb threats (yes, a bomb threat occured at Mirboo North which brought in a squad of police), idle and real threats against person and property. This should not occur in any community, especially small rural communities where co-operation within the community is not only required for peaceful co-existence, but is also the key to survival. Thats why it so important for the local government - the shire - and the state government, to take an exceptionally close look at how this business of wind energy affects the people. It is not just petty bitterness between the 'haves' and the 'have-nots' that is frequenty touted as the reason for any unrest. It goes so far beyond this. And it hits everyone concerned - even those who stand to profit financially from the intrusion of wind turbines on their own property. I know of one man who has quit his job to fight against the intrusion of a windfarm in his community simply to protect he and his family and his neighbours from the intrusion. Every homeowner who is confronted with an actual windfarm or a proposal for such will feel stress and anxiety to a varying level. Every one. Just talk to them and see - and feel - for yourself. Just a day before this was written, a man spent an hour speaking on the phone to a gentleman at Foster about the ramifications of the Toora windfarm and how it had affected his familiy and so many others. At the end of the conversation he was phyically shaking, and in the office buried his face in his hands and cried. That man had moved to a wonderful location on a small acreage in a modest house with a fine rural view in order to raise his family. Now that dream may be shattered. And for what? Even if the cause of his anxieties are not realistic, the anxiety itself is realistic. Sleep deprivation is used as one of the most effective forms of torture. Intruding anmd incessant noise can lead to sleep disorders. The concernf of turbine and blade noise had been documented elsewhere. There are local and state laws that protect the health well-being of a resident, and any neighbour causing such a serious health problem as disrupted sleep can be held accountable. Property owners who have allowed windturbines to be erected on their land should be aware of the position of serious litigation that they have placed themselves in. Most councils have a brochure outlining aspects of neighbour co-operation and existence. If noise affects your health, it must is taken most seriously by council, even if the noise results from a 'legal' activity, and it is significant in effect. The option of abandoning or selling the family home is a last resort which has been done by some at Toora and no doubt elsewhere, and leads to the foundation of ligitagation against the wind energy company and the wind-farm landowner. And it is important to stress that the landholder is also directly liable, and cannot hind behind the legalities of the wind-energy company. go to get access to it. Note also that those suffering from autism and Asbergers Syndrome have an acute sense of hearing such that they will be affected in some degree by turbine and blade noise. Thus even if the spinning blades are not visible, the may not be able to escape the noise. Families with members who have such disabilities, or have relatives, friends and collegues who are so affected, will more than likely need to relocate to overcome the problem. But why should they? Better an ounce of cure..... dont build then in the first place. And just in case you may think that this particular health issue does not concern you at the moment, how are you to know what debilitating health problems your children, or your children's children, may have in the future? Imagine not being able to welcome your grandchild because of a health issue instigated by the proximity of a windfarm. Qualification: Talk to anyone involved. Experienced it for yourself, and don't, litterally, just sit on the fence. Don't be naive and assume because they don't directly affect you as you drive past, they are not of concern. Speak with your doctor, and with the local shire's health department. Contact the groups responsible for the mnagement of such disorders. Measurement: Lets see over the years just what the effect on community health this will all lead to. If the low frequency noise doesn't put you prematurely into Crossley House then the frustration might. We already have seen the results at Toora. It must not happen in Wellington Shire. Specific to Devon North: All of it. Windfarms are on private land. Indeed, the state Guidelines indicate that energy developments will not be permitted on any land reserved under the National Parks Act (1975). It is understood that there is an exclusion zone within one kilometer from 'the coast'. Private land is not restricted (except on the coast). Crown land is a possible target. Aboriginal heritate values are to be considered under the Archaeological and Aboriginal Relics Preservation Act (1972), and for crown land, the Native Title Act (1993) must be considered. Qualification: The published Acts, and the state Guildelines. Measurement: Enforcement of the Acts. Specific to Devon North: The proposed project is on private rural land. There is no known conditions that would contravene the two indiginous related Acts as mentioned above. It should also be noted that 'someone', possibly representing a wind energy company, or an investment company seeking to benefit from wind energy farms, is seeking property in South Gipsland with the view of wind farm energy speculation. The concern here is that should private farming land be sold to such a person or company, it is highly unlikely that they will live on the aquired properties, and will thus not have to put up with the inconveniencs of a windfarm on the property, and would be highly unlikely to consider the concerns of neighbours. There is a further, again insidious, situation where such residential homes on a windfarm property, may be rented out at a cheaper than normal rate, thus attracting financially disadvantaged families, which in itself is not an issue, but which defines the less than acceptable social issue that it is okay to direct the poorer members of the community into less than acceptable accommodation. Much has been made of the 'splitting of the community' when a windfarm is proposed. The argument (I am using the term in a more legal sense) can become childish, vindictive, violent, disruptive, ignorant - shall I go on? As mentioned previously, if dialogue is to be maintained, it has to be done with a minimum of emotion, and with appropriate knowledge, particularly insofar as the situation affects the debater. The frequently heard condemnation by those who own a windfarm, of those that do not, is frequently based on the premise that 'they are angry because they havn't got one'. The 'haves' and 'have-nots' syndrome. This is a disgraceful argument to put forth. Certainly there would be landowners who are disappointed at not having a windfarm on their property when a neighbour has one, but it is disgraceful and certainly un-Australian to suggest that such a neighbour does not have a right to express his or her concerns. In somewhat mercenary terms, perhaps the neighbour would indeed be happy to have a windfarm on his/her land but the fact is they havn't, and they now have to put up with a considerable inconvenience - and do not have the tens of thousands of dollars to appease their concerns, which the windfarm owner certainly has. We also have the ridulous situation where a proposed or actual windfarm owner will flaunt the situation that 'we have many supporters who wish us well for the windfarm'. True - friends and relatives will assuredly give verbal support but one has to question firstly whether these 'supporters' are directly affected by the windfarm, and secondly, if they really understand the issues and have come realistic compassion of what others may have to tolerate because of their 'support'. And this is the true NIMBY attitude. "Go for it, mate", they say - and 'thank God its Not In My Back Yard', they will think. Qualification: Talk to the communities at Toora, Foster, Meeniyan, and now Yarram and Devon North. There is ample documented and first-hand evidence of serious community problems, as mentioned above. In one instance, a community social/family gathering had to be held over two evenings just so as not to bring two opposing factions into contact. And in one important service club, it is the club rule that the mention of windfarms will not be tolerated lest it causes a further spilt of opinion within the club. Measurement: Difficult but annecdotal evidence considerable. Specific to Devon North: There is to date no evidence of community disruption at Devon North nor Yarram except of course those concerns of residents directly affected. Whether the greater community gets behind the rejection or support of windfarms will depend on local press statements and debate, and local gossip. The greater community of this area, commonly called the Alberton district as it once represented the Alberton Shire, may appreciate that the proliferation of the wind turbines is like a virus feeding on the landscape - it may miss some community pockets of residnces, but it will hit others extremely hard. The question then arises, do we remain insular and be grateful that the problems are not, thankfully, ours, or do we consolidate as a community, learn what the issues are, and fight the disease. Knowing and experiencing the community issues that the Yarram and Port Albert district have confronted in the past, there is a strong and informative community who can appreciate just what the issues are. Landowners where a windfarm is located are paid between $5,000 and $10,000 a turbine. It is generally thought that the first turbine will result in a $10,000 fee with subsequent turbines at $5,000 each. Each wind energy company has their own rates. AusWEA indicate the general payment is $5,000 per turbine, which allows for access at any time. It is understood that some communities in Europe share the profits made from the windfarms, and neighbouring landowners receive compensation for their disturbance. This has not been implemented in Australia, and it is difficult to see how it could be done, as payment to the neighbouring landowners and the community would need to come from the wind energy contractors. In so doing they would probably elect to reduce the annual lease payment to the windfarm land owners, which would reduce the incentive for landowners to ofer their properties for turbine use. Of course, a windfarm landowner could always offer the neighbours and the community some percentage of the spoils but it would be a rasre community minded landowner who did so. Of course, many windfarm landowners suggest that "it is not the money" that they are after, but that they support the concept of renewable energy and want to contribute to the reduction on global warming. That is a fine tribute, and these conscientous landowners may therefore like to consider sharing their spoils with th community considering that money is not the option. From National Geographic, August 2005: Danes seem to like turbines more than the British, perhaps because many Danish turbines blong to cooperatives of local resident. Its harder to say "not in my backyard" if the thing in your backyard hlps pay for your house. Wind energy debate usually centres on a life of a windfamr (ie turbine) of twenty years. Whether this is relevant to the engineering of the turbine, or the fact that another cheaper sustainable energy means will be used after this time is not indicated. Why twenty years? It could be that nuclear energy will be the norm within the next few decades. Or hopefully, the cost of solar energy will be greatly reduced. One of the greastest poblem with wind energy-generated electricity is the means of storing surplus electricity. (This is also a problem with any form of electricity irrespective of how it is generated). Technology is being developed to turn to use the surplus to turn hydrogen or ethanol into a storaeable fuel that can later be used to generate electricity but most systems are still decades from bcoming economically feasible. (Source: Natioaanl Geographic, August 2005). It is appreciated that small or single wind-turbine towers can be of tremendous benefit particularly in isolated areas and communities where there is no economical alternative - such as islands (King, Flinders, Rottest), and for specific use such as power for an isolated factory or farm. The viable use of wind energy in an appropriate situation is not a problem - the question thats needs to be addressed is where they are to be placed. When a German politician was asked, "why do you place so many wind turbines offshore ? ", his succinct reply was "Seagulls don't vote". The point is, wind-energy is a political issue, and will remain so when governments do not consider their apporpriate location. The question arises as to what direct benefit a windfarm has on the people of a community, ie withgin a shire. It is the shire council's responsibility to represent the interests of the people, not only the broader community but also th individual. Will the shire, ie the people, benefit from a windfarm, be it financially or in any other manner. In Victoria, it would appear from experiences and attitudes expressed by shire council's who have confronted the issue of wind energy, that, in general, they are not in favour of windfarm installation. In this they no doubt represent the views of the people, and the financial viability for the respective shire. It would do well to study the history of the South Gippsland Shire who have been in the forefront of windfarm proposals for several years. Their experiences should be understood by (Wellington) shire employees and councillors in a position to make decisions within their own shire. Local Council Laws and Attitude. As mentioned previously, the Policy Planning Guidelines for development of Wind Energy in Victoria producd by the Brack's state Labor government, clearly states that 'The Minister for Planning is responsible for assessing all proposals that are 30 MW or greater', and further makes it clear that 'for projects less than 30 MW the local council is the responsible authority". This seems clear cut. The council must provide the go ahead if any windfarm proposal is below 30MW which equates to about 15 to 20 wind turbines depending on efficiency. However there is an unwritten caveat on this policy statement laid down by the (ex) Minister of Planning Delahunty and that is 'the local council has the authority to approve or reject a windfarm proposal less than 30 MW but if it disapproves of a proposal the Minister for Planning can come in and overrule the council's rejection'. 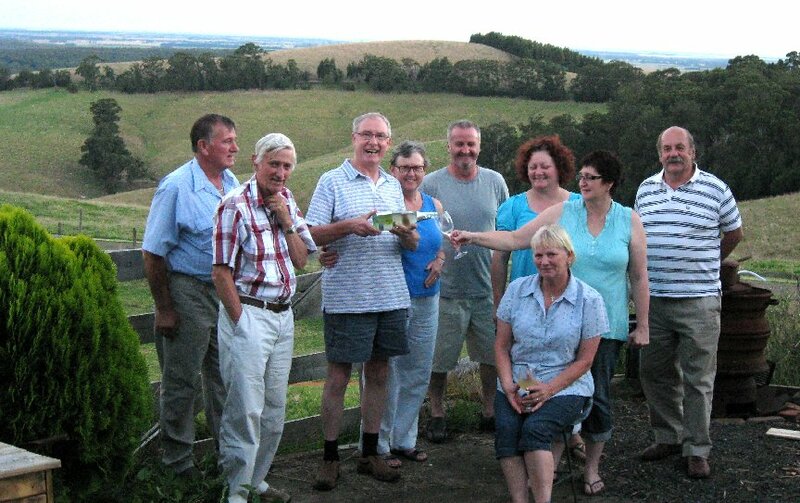 It has been done (re Bald Hills, South Gippsland). How totally disgraceful and undemocratic is this. It leaves the local council, who by their physical presence are the representatives of the loal resident and landowners, no power on their behalf whatsoever. It is a disgraceful indictement on the competency of the local council to represent their residents and ratepayers. And this has happened, in relation to the Bald Hills proposal. And ask yourself this question. Since when can you construct a forty-eight metre tower on your property WITHOUT A PERMIT ? If you want to put up a tin shed, not only does it have to meet council requirements, and a permit issued, but it may also need a nice coat of green paint to blend in with the countryside so as not to inconvenience neighbours and to protect 'the visual sustainability of the environment', to use a planner's words. Thats seems reasonable. So why does the shire allow, or indeed does not even need to be consulted, for a landowner to put up a huge tower to monitor wind energies? Why? - because the state government forecast quite wisely (is that an oxymoron) that a windfarm proposal could be stopped at council level simply by the local council refusing a permit for a monitoring tower, which they surely would. So the state government brought in legislation about two years ago to allow any wind monitoring equipment or construction to be erected without a permit. How convenient is that? So don't go blaming the Shire of Wellington for the forty-eight meter tower erected on the proposed Devon North windfarm property - it was out of their hands. The point to be made is that windfarm proposals and construction in Victoria are out of the hands of the local council. The reason is of couse that local concils do not dictate constituent votes - the state government wants to contro, where the winfarms are located, and to place them in regions where there is less liklihood of loosing a seat. Qualification: South Gippsland Shire and the Bald Hills project. Measurement: Study the state government decisions in regard to policy making relvant to the various electorates. Consider the marginal seats and the safe seats and see where major beneficial projects have been initiated, and where unfavourable decisions, in respct to the constituents and community, have been made. Consider the toxic waste dump, Won Wron, roads and infrastructure - and windfarms. Specific to Devon North: The electoral district is a safe National seat, competently and enthusiastically represneted by Peter Ryan MLA, head of the Nationals. His support in the district is strong and Labor has little hope of ousting him - fortunately. Council is aware of the proposal, however, the company in question is currently undergoing testing to ascertain the viability of the site. Council can only respond to a planning application, should it eventually arise, since the wind monitor is exempt from Council control. When or if an application is made, Council will require that all nearby residents be made aware of the proposal and be afforded an opportunity to make a submissions regarding its impacts. John Traa, Team Leader, Statutory Planning. Interestingly, in a phone conversation with Synergy Wind Project Manager Christian Spitzner, (7 September 2005, P.Stone), it was mentiond that Synergy Wind had considered the windfarm situation in the shire of South Gippsland but found here was too much (public) opposition, and thus 'too difficult' to deal with. Synergy Wind had communication with the Wellington Shire 'who showed no opposition to the concept (of windfarms)'. In written communication from Madgwicks, Lawyers, representing Synergy Wind Pty Ltd, dated 10 April 2006, is is stated that this statement is false, and that Spitzner instructs that he never made the alleged statement, and that Synergy have never considered a wind farm in South Gippsland shire. As it is a matter of my word over that of Spitzner, and such verbal communication cannot be verified, I offer a public apology to Spitzner for any misunderstanding I may have had in regard to this conversation. Let us consider now the broader issue of individual responsibility within a community. Comments are general and are not necessarily directed at the Devon North proposal. Forget about the legal issues for a moment. What are the moral issues. Lets consider it from a community point of view - our parochial society in which we exist for the greater part of our everyday being. If one chooses to live in a community, we must abide not only to the common laws that allow community living, but also to the unwritten expectations of each individual. Lets consider it firstly from the point of view of the landowner who has been tempted with financial gain to allow a windfarm to be constructed on their land. One would think that the landowner would consider the ramifications of the contract, not only to him or herself in real and financial terms, but also the implication of the wider community, and his or her relationship with that community in which they live. There is a balance here. A fistful of dollars can be a real incentive to think only of oneself and not even consider the effect on others. It happens every day in every community but that does not mean it is right, nor in itself does it mean it is wrong. So what are the legal and moral obligations of the windfarm landowner? Lets knock over the legal considerations first. Rural land, as it is in South Gippsland, is 'zoned' for arable (crops) use or animal husbandry. Basically, anything other than that and you need a permit to operate. If you can convince the local shire that your prospective use of the land is acceptable, and the council issues a permit, then thats the end of the situation. There may be ongoing complaints to council or even civil litigation, but from a land-use point of view, if you have the shire permit, you can do as you please within the constrants of the permit. In considering the permit, the shire of course must consider the wider picture - the ramifications on existing local. state and federal laws and stautes, the benefits (or otherwise) to the shire and thus the wider community, and right down to the individual affected in any special way. It is the shire's responsibility to act in accordance with what is best for the greater good, and of course the greater good should also consider simply what is best for a particularl individual or family who may be severly inconvenience by the landowner proposal. Having a waste dump built next to your home may be a serious disadvantage that the shire would consider. So if the shire considers that a windfarm is okay on a particular property you would think that they have had enough intelligence and dilligence to investigate the situation and come up with a reasonable solution. In the case of the windfarms however, it appears that the shire has not this control, despite it being stated that they do, with reservations. In the state government policy on wind energy facilities it is clearly stated that the local authority, ie the shire, has responsibility for wind farm projects up to 30 megawatts. As mentioned previously, this equates to about fifteen to twenty turbines - as the equipment becomes bigger and more efficient, the number of turbines will lessen. In the case of the Devon North proposal, which has been stated as five to ten turbines, it would appear that the project is within the bounds of the shire's responsibility. So basically, if the shire does not see the benefit for the shire as a whole and takes into account the strong concerns of others, it can simply knock the whole insidious idea on the head. But it is not that easy. As previously mentioned, the state and federal governments have too much to loose, and they will not allow a mere local shire to dictate the rules. So, as Mary Delahunty did in the case of Bald Hills, which the South Gippsland Shire did not want, she changed the rules, and told the shire exactly what to do. The shire had no choice but to back down, and thus not represent their greater community. This is a disgraceful situation in its own. The bottom line is, the shire can 'yes', but will have difficulty getting a 'no' action. So much for one aspect of social morality. And so much for democracy. But back to the landholders of a potential windfarm. They are influenced by money. Some may be influenced by the greater environmental challenge for clean renewable energy, but no, lets face it, its money, pure and simple. Do they have that right? Of course they do. They have the right to consider any means of revenue that their property may provide. They have the right to make approaches to any commercial or government body to seek the necessary endorsement or permit for their activty - no matter what it may be. But the key word here is 'consider'. They can consider their new proposal, they can consider the legal requirements - but do they need to consider the moral obligations to others within the same community? Now that is, unfortunately, a debateable point. In a world which constantly flaunts the fact that greed is good, we have come to accept that it is in reality every person for themselves. And that means that if a person considers a proposed action that provides for their own benefit, and the person chooses not to consider any moral obligations, then so be it. Paradoxically, they have that right. If you want to try to screw up your neighbours, legally that is, you have that right. Of course, some may choose to take the moral ground. Those that do are called naive by some, and good citizens by others. It is a difficult situation, and one that only each individual can consider. In other words, how would you react if you were offered $30,000 a year but at the expense of the quality of life of your neighbours. Thats only a decision you could make. And you cannot make it on behalf on anyone else. You wouldn't turn you land into a windfarm for $30,000 ? Try, then $100,000 per annum. Now that has you thinking. Let's face it, we are all financial prostitutes at heart. So lets be both considerate and circumspect when it comes to judging others. I hope at this stage we have established a notion of the rights of the landholder - that if the landholder so wishes to propose the construction of a windfarm, the landholder has every legal right and moral right to consider such a proposal. For the landholder to actually go ahead and install the windfarm, this may not contravense the legal issue, but it certainly raises questions on the moral issue if others are affected. Lets now consider the rights of the neighbours so affected by a windfarm proposal, both legal and moral. The neighbours have the same rights as the windfarm landowner, of course. There may be some legal differences in the use of the respective land, but lets assume that the neighbours are residents, ie they live (or may even just holiday) in a house on their own or rented property. What can they expect? It has already been mentioned that 'rural residential' does not determine the actual use of a property. If the dairy farmer next door wants to construct a rotary dairy on his land there is virtually nothing you can do about it outside of the statutes governing such construction. We live in a rural area and that means crops, forests, cows and more cows. It means tractors, cattle trucks, milk trucks, silage smells and fertilizer, youngsters on bush bikes and vermin and recreational shooters. These are all part of country life whether we like it or not. The city physician who complained that the cows crapped on 'his' road outside his rural holiday home a few years ago was totally out of line. Cows move, have a right of way in some instances, and boy, do they crap. But let me put this to you. It is accepted that we have a right to safe and quiet living. We have a right to bring up our kids in a safe and pleasant environment. We have many personal rights, many of which are not documented because they are so obvious to the individual. Perhaps they should be documented. Perhaps I should have a legal right to a smile from a shop attendant, not just a moral right. Perhaps it should be illegal for a woman to walk into a computer store and not be treated as a moron. Lets hope we dont get too bogged down in such specific social laws, for if we do, we will have lost the plot as a free society, a steady and safe and liveable community. (Try living in Singapore for a while to experience a safe, but is it free, society). The Right to Reasonable Expectancy. This simply means that you have the right to expect certain events, actions, 'things', to happen in everyday life. I don't mean that the phone works all the time, and that no one rushes into your home with a meat cleaver. I mean the everyday actions of living in a community be it a huge metropolis like Melbourne or the intimacy of downtown Yarram. Lets be more specific. I expect to be treated with courtesy, and I expect that everyone else would accept my treatment of them in a courteous manner. (I once held the door open for a young executive-dressed young lady in Melbourne and was given the most ferrocious glare). I expect not to be held to ridicule (there is a law against that) but I am really reffering to general acceptance due to age, gender, race, personal appearance, personal preference or whatever. (When I say 'I', I mean what I expect for everyone). But lets be specific here, in regards to a windfarm, and see how it relates to neighbouring residences in a rural-residential enviroment. When a person builds or acquires a residential property, they do so for the purposes relevant to their desired lifestyle. This is dictated by many factors - interests, family, economics, employment - you name it, you've been through it. One choice we have in country regions is to have a few acres perhaps, to have a setting that delimites neighbour noise and disruption, and to have a view or pleasant outlook. These factors are seriously considered and in so making the final decision, consideration is also given to any potential change that may occur that would reduce or eliminate your preferences. You don't buy a block of land at the end of air airstrip and then complain about the noise when you move in (as happened at Airport West after Tullamarine airport was constructed). It is the new resident's responsibility to check out the laws of the land so to speak, to determine exisiting caveats, proposals, and legal uses of the neighbouring land as well as the property under consideration. If in a rural-residential area (or indeed straight rural with a farm residence), it must be understood that the use of neighbouring properties may change, and it is generally understood that such change would be within the laws of local council in regard to land use - generally for arable use and animal husbandry as mentioned - but 'anything' if a permit is issued. So if the neighbour at some time in the future wants to erect a rotary dairy on their property, you havn't much of a leg to stand on. If you compain about the milk trucks passing your door, even if that didn't happen when you first moved in, (or log trucks which is perhaps more relevant), you havn't much of a case. But what happens if the neighbour wants to operate a chicken battery, or a pig farm. That comes under animal husbundary and you still may not have a case, but even here there are council laws that can determine the viability of such new project. The point is, the rural resident must have some understanding and appreciation that 'things' can change, and that is all there is to it. But what 'things'. What is it reasonable to expect. No government can lay down in finite detail just what can and can't be done - fortunately we live in a changing world and some change is to be expected. Perhaps at this stage I have shot down the argument - if change is to be expected, and a windfarm is now technology resulting in a change to energy development, then accept the inevitable and don't whinge!!. But this attitude would be totally unreasonable. And here we ask the question, what is reasonable - or more appropriate in the case of a windfarm, what is not reasonable. Is it appropriate that the neighbour opens a panel beating business, or a chemical production company, or a jet engine testing base if we must take it to an extreme. What conditions are reasonable? If we must quantify this, a commercial industrial operation is not something that we can reasonably expect to occur. And a windfarm is a commercial industrial business. Lets be specific. When the Jones family finds land that they like, and they build a family home with a view that they are proud of, to raise a family or perhaps in retirement, they expect that view to remain, subject of course to the accepted use of the surrounding rural land as just mentioned. Is it therefore reasonable for the resident to complain if the neighbour decides to change from grazing to crop the land for silage, and is thus inconvenienced by tractors, fertizer and silage smell. No - these are expected activities. You will appreciate now where this is leading to, so lets ask the simple question. Is it reasonable for a resident to expect that an industrial and commerial industry would not be constructed on a neighbours property. Yes, of course it is. The land is legally zoned rural, but even more important, it is generally understood that the rural land will be used for rural purposes, and individual life-style decisions are made on this basis. Zoning is determined by the appropriateness of the use of the land, and the publication of zoning laws are to let the community know what and how the land can be used, so that personal and commercial decisions can be made. Such laws are required to ensure an appropriate standard of living for all concerned - so that the family can decide where to live, for example. But as mentioned, the law cannot cover every single possible instance of possible misuse of the land, and hence it gets back to the individual making decisions on what is reasonable. Hence the concept that we as individual citizens, and the community as a whole, have the Right of Reasonable Expectancy. The government and local council, who represent us in all matters of community living, must support this doctrine, otherwise, in effect, there are no stable laws, and we end up with a bureaucratic dictatorship. The Jones should not have to put up with an instrusive industry that changes their lifestyle. The right of the individual must be respected in any democracy. We say that Australia is a country where everyone gets a fair go. That concept must be adhered to. But if there is a conflict of interest between parties, it is unfortunately the employed lawyers who come into the debate, where manipulation, of words and actions, of 'strength of argument', and legal 'technicality' can sway a decision favourable only to the strongest (usually financilly so), party. This happened at the Dollar Windfarm enquiry. When a resident questioned his right to maintain his families lifestyle in the face of the proposed windfarm, he was literally dismissed by corporate lawyers on the basis that - "the land is zoned rural-residnetial, but the land can be used for any purpose if a permit is obtained, and as we have a permit, and so there is no case to answer". What a load of verbal garbage. The Right of Reasonable Expendency was totally dismised by corporate lawyers - as they perhaps should do if they are doing their job - but it was upheld by the panel hearing chairman - which is a disgrace. This does not bide well with anyone expecting to be heard on any issue, and lessens the feeling of security and family safety, which goes totally against the concept of community living, and indeed the vision of democracy in Australia. Everyone in Australia should have the right to quiet and safe existence, to the right to live on their land in the manner they choose, within the law and reasonab;e moral expectations. If this right is negated, then we must hold local, state and federal governments responsible, and take appropriate action. The bottom line is, if you have a residence with a view, for example, it must be your legal right to maintain this view if you have understood the legal status, and have an appreciation of what is your right to reasonably expect. A commercial industrial windfarm operation with hundred meter wind turbines is NOT a reasonable expectancy. The proposed windfarm owners and devlopers..
Legal action against the landowner. It is a common law right with favourable precidents that one neighbour can sue another if the value of a property is decreased as a result of the use of the neighbours property, be it a commercial or private use or action. As indicated, this is an avenue that is being expored. Class action is relevant. Legal action against the wind energy company. They seem to be so well protected legally that such action seems to be difficult. The wind energy company is smart enough to put any legal onus and responsibility back on to the proposed windfarm landowner. In other words, "if you have a grievance against the proposed windfarm, take it up with the owner, not with us - we are merely contracted to use the land for the owners benefit and with their permission". INDIVIDUAL NEIGHBOUR AND COMMUNITY CONCERNS. Those direct and near neighbours concerned about the Devon North windfarm proposal are invited to express their concerns. Others may also do so, be that for or against the project. May 2005: Proposed windfarm landowner advises Ingles Rod resident and others on Bolgers Road that the proposal is in effect and a wind monitoring tower is to be erected. Permission is sough for the wind energy company to enter neighbour's land towhich was granted, to measure 'ambient' noise. May 2005: Several days later, a wind monitoring tower was erected on the proposed windfarm land, clearly visible from Ingles and Bolgers Road, Devon North. May 2005. Two 'letters to the editor' in Yarram Standard News condemns the Devon North windfarm proposal and leads to an article in the newspaper which becomes in effect the announcement to the community of the project..
27 July 2005. Fact finding meeting of concerned residents with Craig Falconer and Mrs Falconer at Dumbaulk. Invitation sent to proposed windfarm landowner to meet with concerned neighbours. 10 August 2005. Local neighbour meeting. 2 September 2005. Meeting with Peter Ryan, Member for Gippsland, Leader of the Nationals. 7 September 2005. Yarram Standard news publishes interview with neighbour Peter Stone. 8 September 2005 First letters of introduction arrive from Synergy Wind P/L. Letters also requesting that their ascoustic consultants be permitted access to individual properties to install ambient noise testing equipment. Curious isn't it, that four months after installation of the wind testing tower we get a letter of introduction from the windfarm company telling us of their 'proposal'. Hardly a proposal, more a letter of intention - surely, the introduction and 'proposal' should have come before the tower installation.? 12 October 2005. First formal meeting of 'concerned residents' to formulate strategy. Correspondence to be sent to Synergy Wind Pty Ltd and G. & L. Helleren. 18 October 2005. Meeting with Wellington Shire Councillors. 19 October 2005. Presentation to Rotary Club of Yarram. 11 November 2005. Meeting of Concerned Residents. 16 December 2005. Synergy Wind arrange for a "public meeting" in Yarram to present details of their proposal. It was not a meeting but an open day whereby residents could discuss issues with Public Relations consultant Bill Barber, who handed out AusWEA brochures and a statement from Synergy. On or about 9 January 2006. The wind monitoring tower on the Helleren property at Devon North came crashing down due to judicious use of a pair of bolt cutters - according to the Yarram Standard News 11/2/06. 22 January 2006. Meeting held at Devon North church hall to discuss issues and educate neighbouring residents to the windfarm issue. 15 February 2006. A new wind monitoring tower was erected on the Devon North property. 10 April 2006. Member for Gippsland, and Leader of the Nationals, Peter Ryan, visits proposed windfarm site and discusses issues with neighbours. "Synergy Wind Pty Ltd - Defamation by Mr Peter Stone." Stone responds accordingly. No further action. 2 June 2006. Hon. Peter McGauran MP, visits Devon North beighbouring residences, discussed issues with community, condemns windfarms. 4 July 2006. Council releases Application Permit documentation. Synergy Wind inform some neighbours of the application. 3 August 2006. Deadline for objections to Planning Permit. COMMUNICATION TO CONCERNED RESIDENTS OF DEVON NORTH RE DEVON NORTH WINDFARM PROPOSAL - Email.